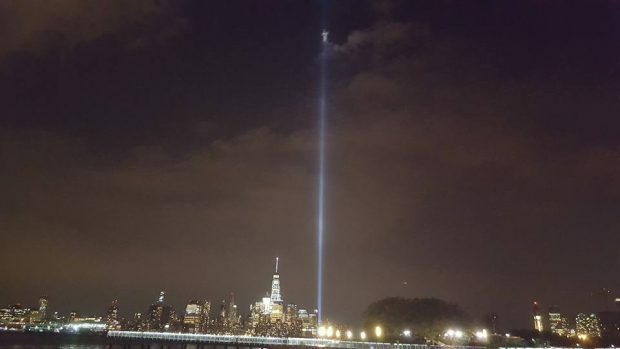 Like many others, Rich McCormack decided to take a picture after seeing the “Tribute in Light” at the World Trade Center site in New York City. However, he’d later be shocked as he looked at the image to see what else was caught in the photo – and it was thousands of feet up above the city. Although McCormack thought he was just taking an ordinary picture, it seems the freelance photographer from Jersey City, New Jersey got a bit more than he bargained for. After posting the photo to his Facebook account on the night of September 11th, he’d later come back the next day to see what else he caught in the photo. 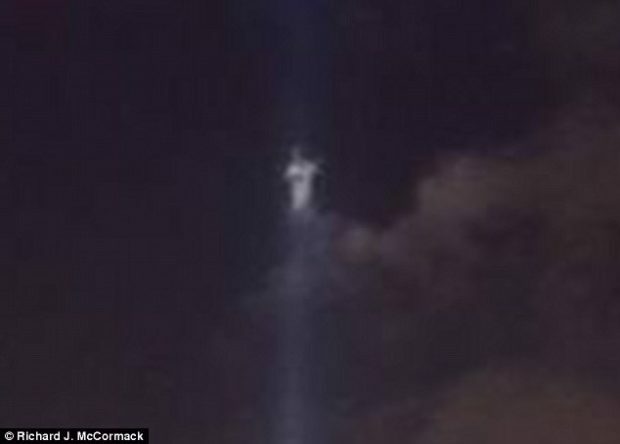 As it turns out, a portion of a cloud was illuminated by one of the lights and seemed todepict the silhouette of an angel. However, McCormack states that it’s a bit more than that as he believes it more closely resembles Jesus – God in the flesh Himself. Since being posted, the image has since gone viral as several people view it as a sign of hope as we were busy remembering such tragedies. Despite losing almost 3,000 Americans 15 years ago, many across the web suggest that this is proof that God is still looking down upon our nation. McCormack insists that the picture is original and hasn’t been digitally altered, and his friends vouch for the man’s honesty and the photo’s authenticity. Whatever you may believe – whether this is just an illuminated cloud or a sign from God Himself – there’s no refuting the powerful imagery here. As our nation was founded on Christianity, it’s clear that God has a heavy presence in the prosperity of America. He is always there, and He most certainly is always watching.